Looking for a unique way to strike up conversation with someone at a crowded bar? Send them over a new drink with an anonymous message using this smart QR code gimmick. 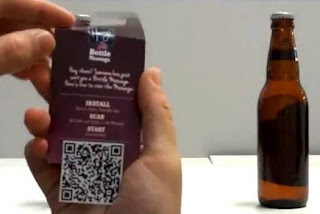 Harry’s Bar in Singapore, introduced ‘Bottle Message,’ by adding QR code tags to beer bottles, which when scanned allow people to enter messages. 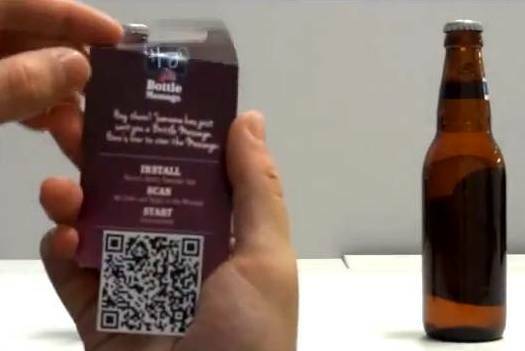 Not only was it a good way to creatively increase sales, but also comes in handy for those too shy to make the first move. Oh yeah, this is brilliant. 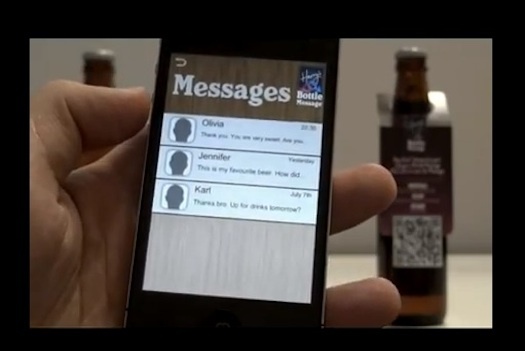 Not only useful to meet people for business purposes, but to meet gorgeous ladies at the bar. haha! Genius you guys! I'll most likely keep it quick and painless and connection to this rather if that is cool. Much obliged.